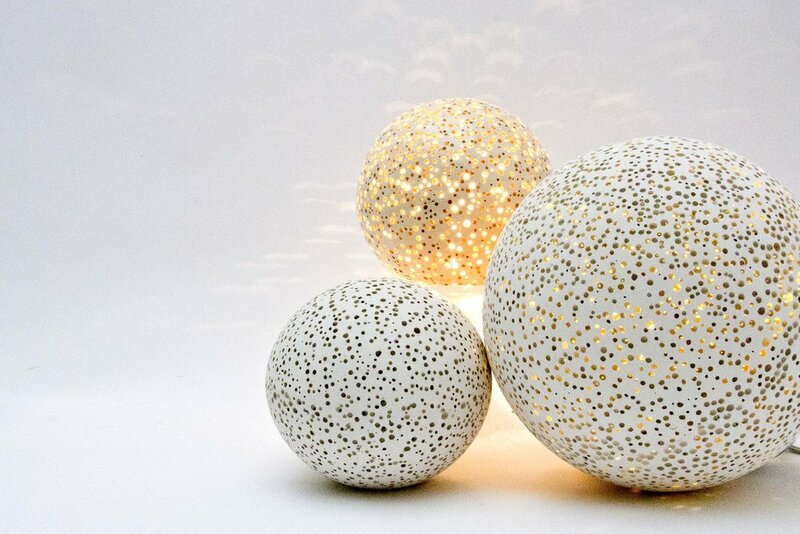 a special ceramic mixture to create unique lamps. This special ceramic lamp was presented for the first time in July 2011 during my Bachelor's Project Thesis at the Faculty of Design & Art of the Free University of Bozen. In that occasion, I tryed out myself in a interesting experimental project with materials. The goal initially was to create an effect to defect. In fact, ceramic artisans are obsessed about imperfections, because usually, if the product present even a small dot or crak, it is considerated as a second choice to costumers. I put in the ceramic mxture every kind of material from wood to plastic in order to create a special effect once the piece is cooked. The difficulty of the project was to find something that don't crak the ceramic before the coooking. 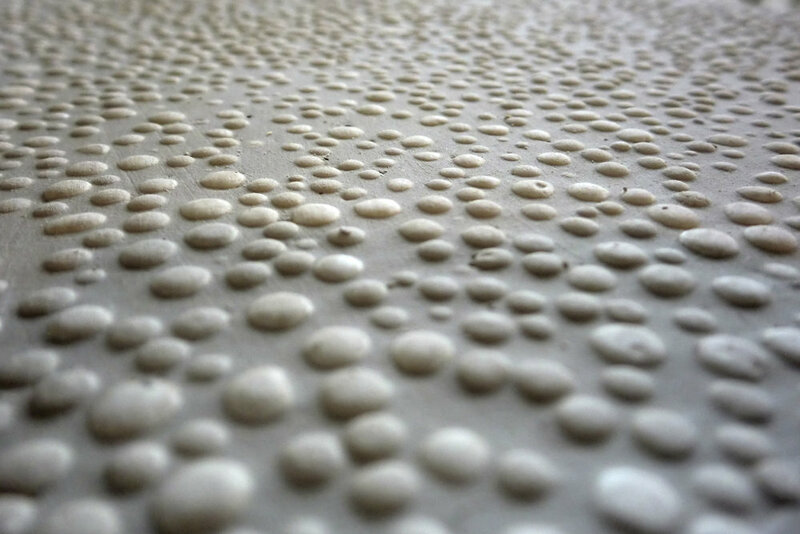 Polystyrene revealed as the perfect element to have this spectacular effect!